Work’s New Age: The End of Full Employment and What It Means to You has been chosen for a 2012 Independent Publisher (IPPY) Book Award. The book was selected as one of four medalists from about 50 entries in the Current Events I (Political/Economic/Legal/Media) category, tying for the Bronze award with the latest volume from former ABC News foreign correspondent Barrie Dunsmore. 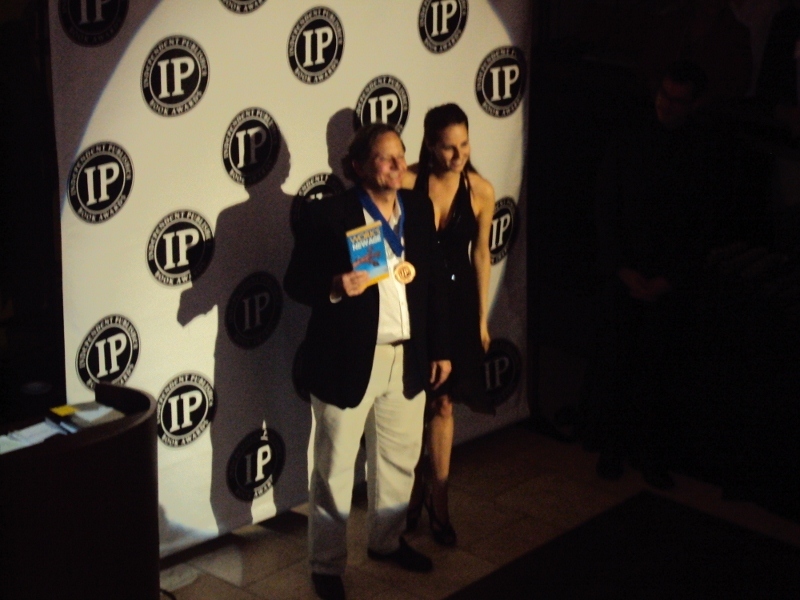 IPPY is the world’s largest international and regional book awards competition. This 16th annual edition attracted 5,203 entries, all independently issued books published for the North American market. The awards ceremony will be held June 4th during BookExpo America in New York. A full listing of winners can be seen at http://www.independentpublisher.com/2012_IPPY_Awards_Results4.pdf . Work’s New Age is the prophetic new book which shows what is happening with American jobs. It describes what the jobs crisis really is, and why it is permanent and will not end with better economic times. The book shares how the work situation has affected and will affect national social patterns, and assesses a wide range of possible solutions. It concludes by naming what Americans must to do to shift successfully to the new jobs reality. Since November, author James B. Huntington has spoken on Work’s New Age on over 130 radio stations nationwide. The book has also been featured in newspapers, magazines, and other speaking events. James B. Huntington has been a business professor, teacher, and professional speaker. His 2007 doctoral dissertation is the only book written on career jobs for post-65 baby boomers. He has also written on leadership, organizational change, and human development. He has a Ph.D. in Applied Management and Decision Sciences from Walden University. He also received a B.A. in sociology from the University of Wisconsin-Milwaukee, and an MBA from the University of Phoenix. 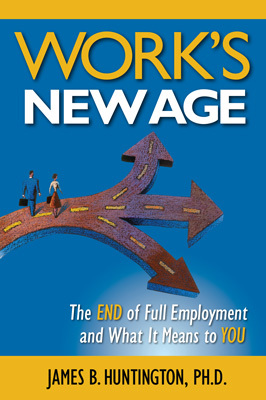 Work’s New Age is available at www.amazon.com, www.barnesandnoble.com, at bookstores (on the shelves or special-ordered through Ingram Book Company), and directly from the publisher at www.royalflushpress.com or 845-456-0115. Kindle and Nook electronic versions are also on the market.